As you all know June is more than just a good time for bargains at the Sales. It is end of the financial year and the business focus is squarely on organisations at this time of year. Organisations we speak with get this. The ones who have the vision to invest in the area of the business with the greatest capacity for performance improvement. PEOPLE. Having the vision to provide training which Empowers People. These are the ones who make the changes, overcome the challenges and become or continue to be the market leaders. We are all unique as our fingerprints, and we all have an amazing capacity to do, be and have more in our professional and personal lives. The secret is in unlocking the potential in our mind, this requires simple tools to change our mindset, think, act and speak more positively. 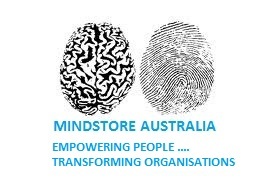 Develop tools to manage our stress and re-engage with our creative imaginative right brain to create solutions to overcome organisations challenges and in turn empower people and transform organisations. If your organisation wants the next Financial Year to have higher engagement, higher productivity and lower staff turnover then take action today and call us to arrange a suitable time to have an initial conversation. With the Soccer World Cup in Brazil starting I thought this was appropriate. 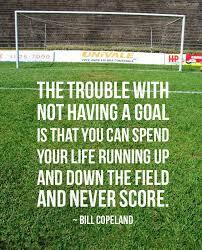 Email us today for our Goal Setting and Achieving Workshop that JUST WORKS!